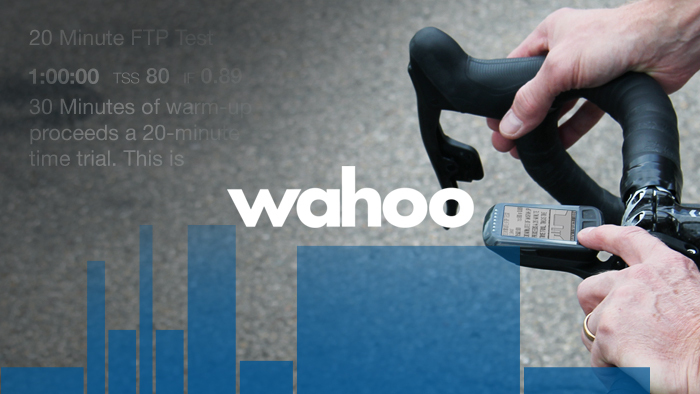 Today Wahoo Fitness announced Planned Workouts, a unique update that brings fully integrated and structured workout programs from TrainingPeaks directly onboard Wahoo cycling computers ELEMNT and ELEMNT BOLT. The Wahoo Planned Workouts update enables the automatic wireless sync of structured workouts to ELEMNT GPS bike computers. “The integration with TrainingPeaks is about streamlining the training experience between athlete and coach,” says Chip Hawkins, Wahoo Fitness CEO. After linking accounts through the Wahoo Companion App, an athlete will automatically be able to see workouts from two days prior and five days in the future for more accurate planning and review. For athletes, this means it is now easier than ever to complete a workout exactly as it was designed—in real time— without worrying about memorizing intervals or power targets. Simply turn on the device and go. When the workout is completed, the athlete’s activity data will automatically sync to their account. Using structured workout overlay, athlete and coach can quickly see how closely they are hitting their targets, and make important adjustments to training if needed. Learn more about Wahoo Planned Workouts and get started with a free kickstart structured training plan.